Zuvio is an in-time interactive platform using for school learning. Teachers can give students tests or single questions in class through Zuvio, and get the feedback with analysis just after students upload their answers. Students can ask teachers questions in private or open a discussion on Zuvio. There are many schools in Taiwan using the platform for class, such as National Taiwan University and National Chengchi University. 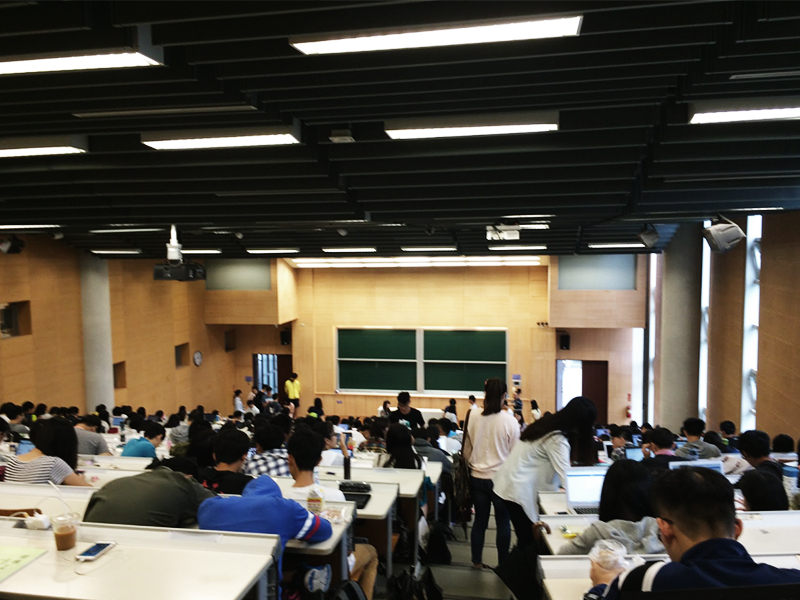 Zuvio wants to change the one-way learning situation in Taiwan, and improve the learning effect in class. For a better user experience, they want to do the UX examination to find out their problems, and set their next move. Zuvio provide many functions through mobile and desktop device to service many possible situations in class. Although there are plenty of practical functions on Zuvio, the managers of Zuvio knew that they have some user experience problems. So we learned how to use Zuvio, then clear up the stakeholders and the value proposition of Zuvio. These help us to clarify the main purpose and the direction of this UX examination. After understanding Zuvio, we set its strategies and find out Zuvio’s target users. In this case, there are two groups of target users of Zuvio including teachers and students. And we separated the teachers and students group into old users and potential users who didn’t use Zuvio before. We wanted to know how those four groups use Zuvio for class, and if they buy in the strategies of Zuvio or not. Compare to the uDesign examination project, Zuvio is more complicated. So we spent more time on this stage than the uDesign project. We have to think about how to make users feel like they are in the scenario when they using Zuvio in our UX test, and if the tasks suitable for old users and potential users or not. We spent some time planning the examination details and find the users for the UX test. At the same time, we invited usability experts using usability checklist to find out usability problems of Zuvio in 6 aspects, including IA, IA content, user flow, layout, interaction, and UI. After the planning and preparing, we start UX testing in this stage. We observed and interviewed 2 students and 4 teachers. Different group of users got different tasks and different scenarios. Combined the results of experts and findings of users, we delivered the final UX examination report. We found out 25 UX problems of Zuvio on teacher service, and 15 UX problems on student service. Most of them belongs to IA and interaction. The student side of Zuvio is easier to use than the teacher side because there are less function on it. To sum up, there are 6 key problems of Zuvio. First, Zuvio is hard to learn. Users need to join a workshop to learn how to use it. It’s not instinctive to use. Second, there are breakpoints after Zuvio release their new version which make their old users complained. Third, the functions are not being well organized. Fourth, when users make mistake, there’s no leading to help them out. Fifth, the function naming is not easy for users to understand. Last, there are many bugs on the system should be fixed. To make Zuvio easier to use, their team is working on the first time guiding on the system now. They hope users can learn to use Zuvio faster and more instinctive based on our finding. As for the third problem, the functions aren’t being well organized, we suggested them to use “card sorting” to rearrange the current functions. The technique director of Zuvio said that the UX problems we found will be their revise work in the future months. Although the priority will changed, most of the problems need to and will be fixed.